HealthRider is a relatively brand in the UK marketplace. 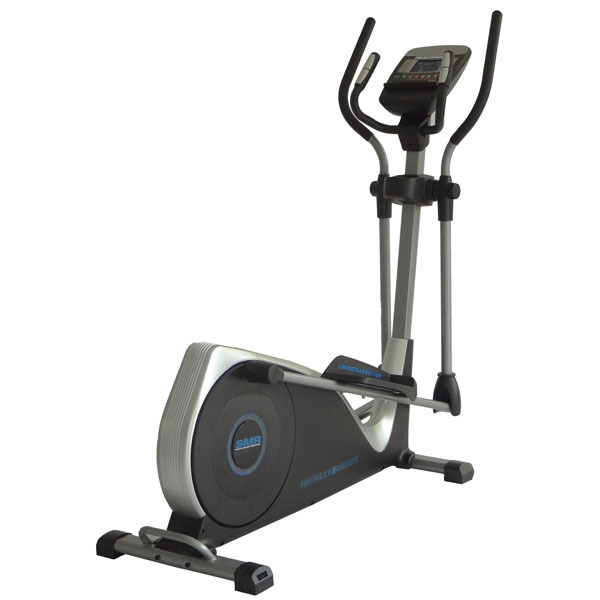 It is manufactured by Icon Health & Fitness, the world’s largest fitness equipment manufacturer. These are the same people behind the ProForm and NordicTrack brands. 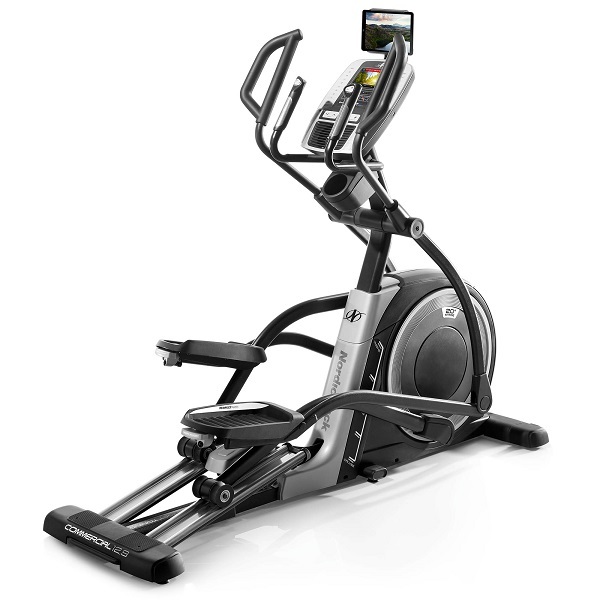 The HealthRider 1100 is the mid-point elliptical in the range and having already tested the 950 we were looking forward to seeing what its bigger brother had to offer. Assembly of the cross trainer was less fiddly than most models (including its smaller brother the 950) which was a real bonus and with clear instructions and not too many steps it was ready to use in around 40 minutes. Once built, just like it’s younger brother, visually it’s a case of function over form. That being said, with black and silver colours dominating and with clean modern lines it should fit into most environments without causing offence. 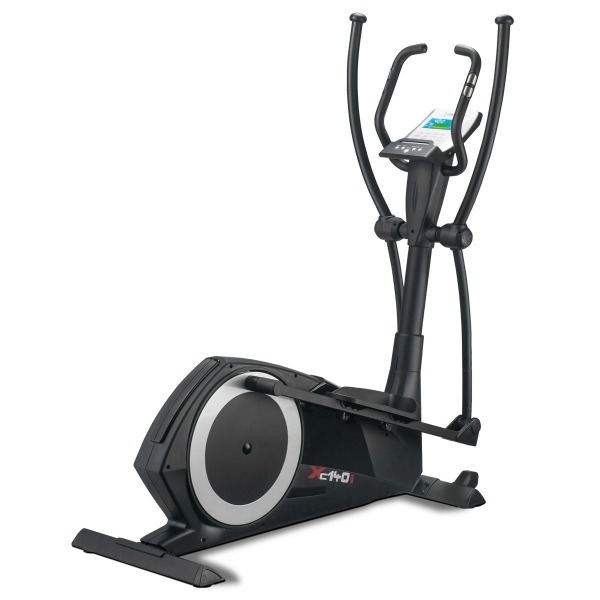 At the end of the day, it’s about how good this elliptical is for the job in hand rather than how pretty it looks, so we got down to business and once on it we were impressed with the action. If ever there were proof of why you’d want a hefty flywheel in an elliptical it is to be found here on the 1100. 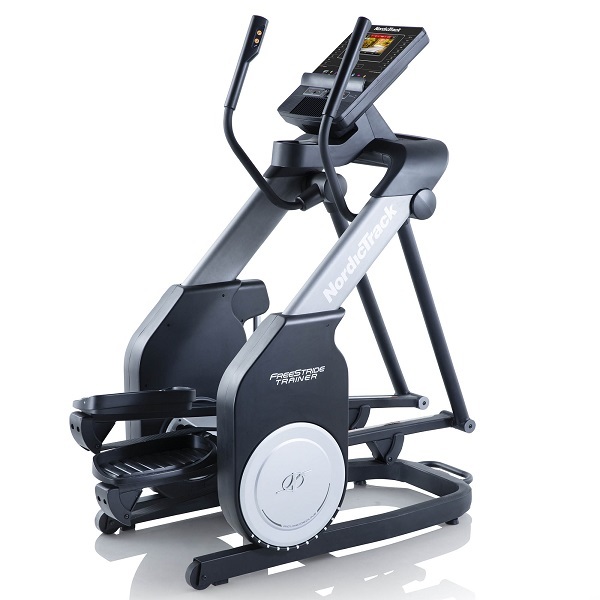 The 14kg (30.8lbs) flywheel and the 18″ (45.72cm) stride length combine to provide a feel and action that is usually found on dearer machines. 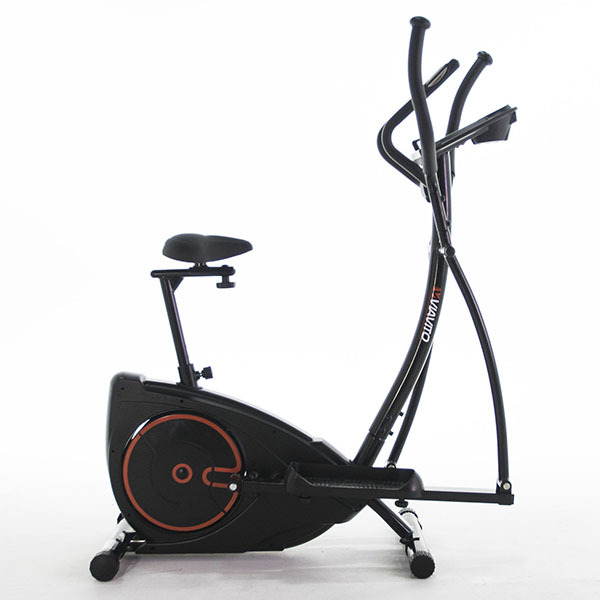 It’s quiet, smooth, stable and consistent, making for a really comfortable workout experience. If there’s any gripe here it’s that the moving arms are a little too straight meaning that your arms are a little too close together so you’re not getting the optimum positioning, but this isn’t a deal breaker as the positioning is still quite good. The feature of a water bottle holder at a sensible height right in front of you on the main post is a nice touch too. 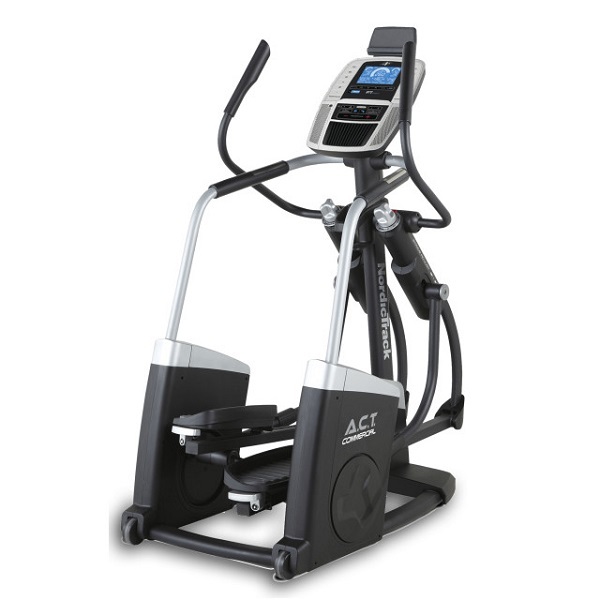 While in use the 1100 is virtually silent as you’d expect from a cross trainer with magnetic resistance. Moving through the 20 resistance levels is smooth and consistent with the top level of resistance providing what should be enough grunt to challenge even those who are already in good shape. Even at the highest resistance level the action remains smooth and silent thanks to that big flywheel. The pedals are also adjustable so if you’re a little taller you can move them back towards the rear of the machine and vice versa, however this is not done as a quick release mechanism so while it’s possible to move them you’ll only realistically do this the first time you set it up. It’s not something that each user will change for themselves on a workout to workout basis. The pedals are 19 cm apart making for reasonably comfortable ergonomics for your average or tall user but this could potentially be an issue for those smaller in stature. The console has a 5″ backlit LCD display with a blue background and white text display which is clear and easy to read. First impressions are that the console appears to be quite complex, featuring a lot of brightly coloured buttons and a display full of information but this is a bit deceptive. It’s actually quite simple to use. 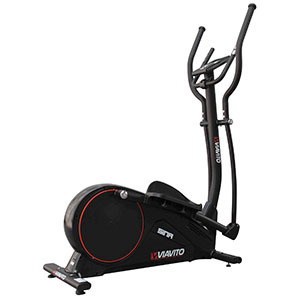 This is down to some great features such as being able to start using the machine by simply getting on and pedalling and doing nothing more than adjusting the resistance. The resistance can be adjusted using the +/- keys or the ‘quick’ keys which allow you to go from level 1 to level 20 with the single press of one button. Going from level 1 resistance right the way up to level 20 takes just under 10 seconds. This speed combined with being able to select any resistance level with a single touch of a button works really well for interval training. In truth, it really doesn’t get a lot easier than that and selecting a programme is a simple case of pressing the desired type of workout which is identified by the button eg. Calorie, or Speed and so on. It’s really quite simple and a far cry from how the console looks at first glance. In terms of programmes, there are 20 built-in workouts which are divided into speed and calorie goal exercises. 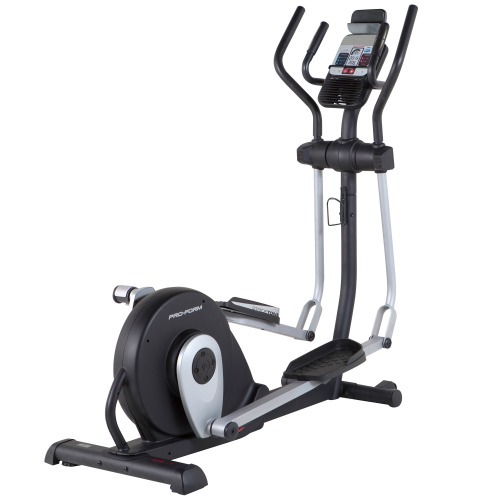 As each is selected (using the dedicated speed or calorie programme buttons), the resistance profile of the programme, as well as its duration is displayed on the LCD display. Just keep scrolling through until you get the desired programme and when you’re ready to start, just start pedalling. Like its little brother, it is impossible to use the 1100 without noticing all the buttons on the console relating to iFit (this console is iFit Live compatible). For more information on iFitLive, we’d suggest checking out the iFit.com website. To make use of iFit Live, you’ll need to purchase a wireless iFit module as well as a subscription to the service (typically around £100 for a module and a year’s subscription) and this opens the door to all the interactive training features iFit has to offer! We’ve played around with iFit Live a fair bit as we’ve reviewed different machines that make use of it and it is definitely a ‘nice to have’ feature. But it’s important to highlight that the 1100 is perfectly usable and provides a very good workout without using any of the iFit functionality. There are some other nice aspects of the console such as the ‘settings’ button which makes it very simple to adjust the contrast of the display or switch between metric and imperial measurements (though on the screen is says ‘Metric’ or ‘English’ which we found quite amusing) and the volume button which allows you to control just how loud the noises that the console makes are – and they can be loud! Usually switching between metric and imperial measurements on a machine, if it’s even available, requires going into ‘engineer’ mode and a load of hassle so it’s nice to see a sensible option for doing this. Other positives for the console are that it has a built-in wireless heart rate receiver allowing heart rate controlled training which at this price point is not necessarily something we would expect to see as standard. It also has reasonable built-in speakers and allows you to plug in a music source via a standard 3.5mm audio jack. One downside to the console is that while you can get personalised calorie consumption figures based on age, weight, gender and height there are no built-in user profiles so you have to purchase an iFit Live module in order to gain access to that feature. 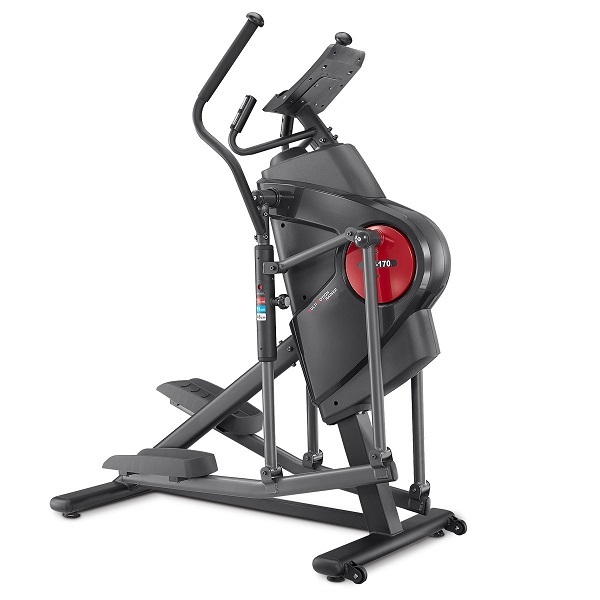 The 1100 has a max user weight of 125kg (275.6lbs) and a two year parts and labour manufacturer’s warranty (though you must register the machine with Icon Health and Fitness within 28 days of purchase in order to get the second year of cover). Moving this machine around is not the easiest of tasks, though it is made easier than it otherwise would be by the addition of a sturdy handle on the rear stabiliser. This allows you to pick up the back of the machine and tilt it onto the transport wheels at the front. Despite this, we’d strongly suggest picking the place its’ going to live and leaving it there! 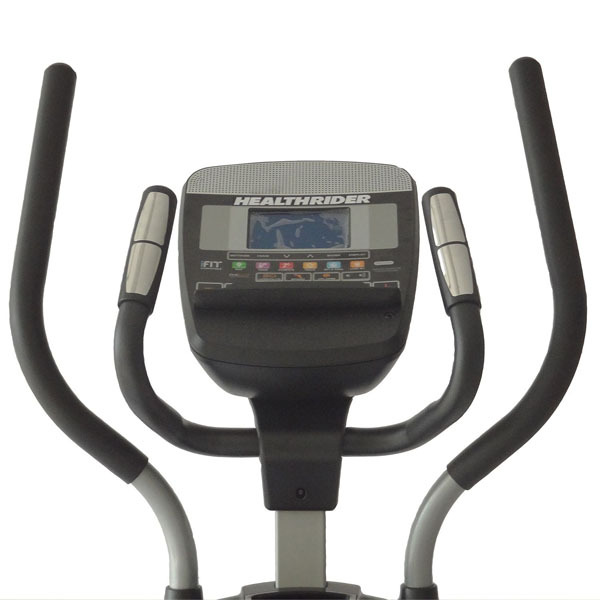 The HealthRider 1100 is not currently available from any retailers we're aware of in the UK. 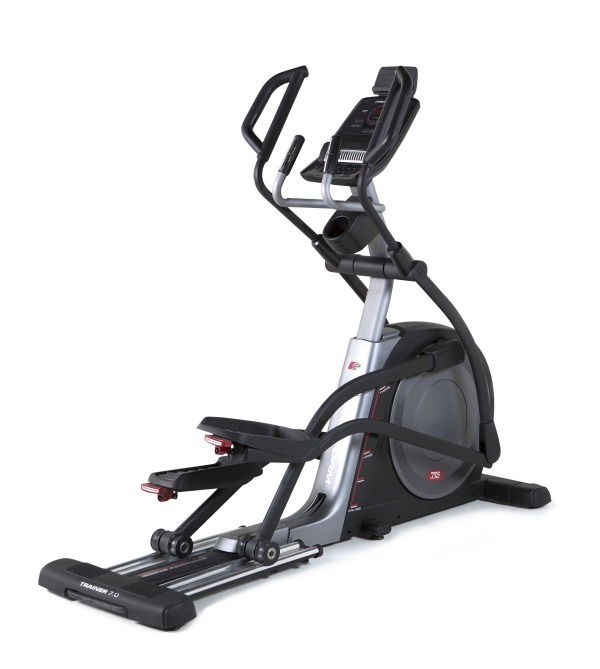 The HealthRider 1100 is a stable, smooth and quiet elliptical that punches above its weight. It's got an 18 inch stride length and a nice range of programmes as well as a manual mode but it's the action that surprises. We wouldn't normally expect such a silky smooth action at this price point. It really does deliver a great experience and at a very competitive price. As such we can happily recommend it.